With age, it is common to gain weight on the neck and around the chin area. For some, excess fat can be an inherited trait, even at a young age. Most people look for treatment procedures to eliminate their jowls, double chin or the turkey neck. Facial liposuction is one such treatment procedure that can completely transform your look, restore your youthful appearance, or even provide definition that you’ve always wanted to have. Facial liposuction is similar to liposuction on other parts of the body. The main difference is that smaller areas are treated. Using delicate instruments smaller amounts of fat are removed often with repositioning or sculpting what fat remains. 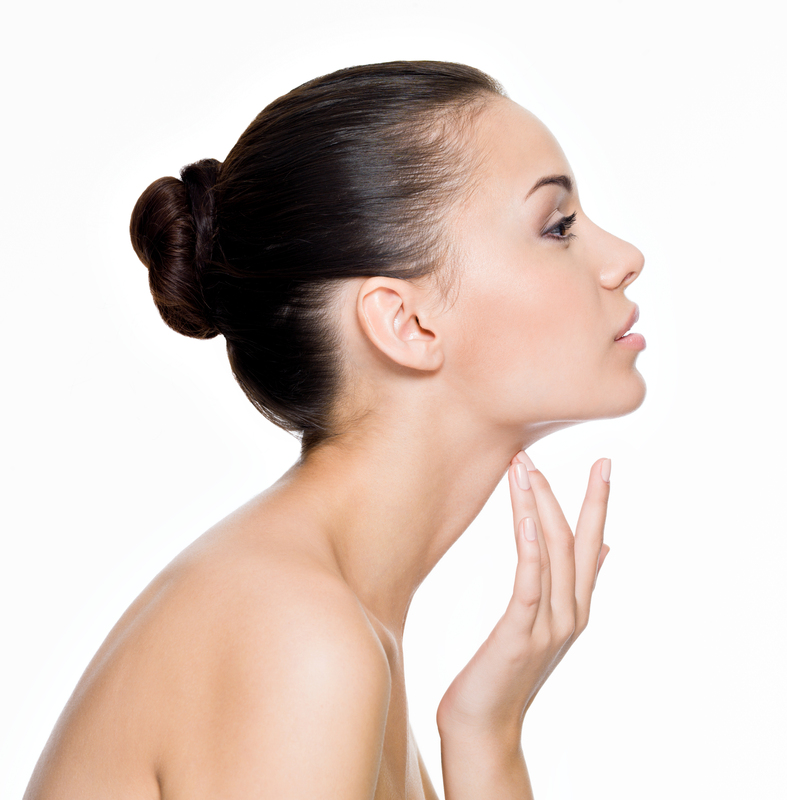 At times, facial liposuction can be used in combination with chin augmentation. In case you are also bothered by chubby cheeks, liposuction can be combined with buccal fat extraction. Am I the right candidate for facial liposuction? Just like any other cosmetic procedure, you must be in good, general health and have realistic expectations from your surgery. You must discuss your aesthetic goals with Dr. Kay, so that he may determine if facial liposuction is the best procedure for you. In case you are looking to lose any weight, you should postpone your procedure until you have achieved your goal, since any weight fluctuation may change the look of your face. Finally, for some patients who require only localized fat reduction, a new FDA approved injectable treatment called Kybella may be an option. Dr. Kay will discuss with you the advantages and disadvantages of each approach for you. What is the facial liposuction procedure? Facial liposuction is mostly done under local anesthesia and light sedation. If you combine several facial procedures, Dr. Kay will recommend the type of anesthesia appropriate for your safety and comfort. The procedure takes about 45 to 60 minutes. Your procedure will involve tiny incisions in the skin just large enough to introduce blunt-tipped needles (cannulae) through the incision to remove and contour fat. This is typically used for the face. In some cases, Dr. Kay could also use ultrasound, power or water assisted liposuction but would discuss the best option for you. The risks associated with facial liposuction are much lesser than those associated with liposuction on other parts of the body. However, like any other surgical procedure, you may be at risk of complications arising from anesthesia, infection, scarring, bleeding, hematoma and seroma. It is important that you follow Dr. Kay’s advice regarding a healthy recovery to minimize risks. You may be prescribed antibiotics to avoid infections. Smoking interferes with proper healing and increases risk of complications; quitting a few weeks before your surgery will be helpful. What will be my recovery from facial liposuction? Recovery from facial liposuction is not as lengthy as in other invasive rejuvenation procedures. Any mild discomfort you may experience can be controlled with prescribed or over the counter pain killers. It is normal to have minor swelling and bruising – you can discuss this directly with Dr. Kay during your consultation. Dr. Kay may provide you with a compression garment to reduce swelling and speed your recovery. Most people resume work within five to seven days after the procedure. For more information about facial liposuction please contact us at Kay Plastic Surgery.